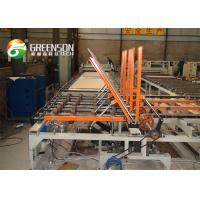 This machine is a lamination machine that laminates decorative films and board sheet together. The whole machine is frequency control. 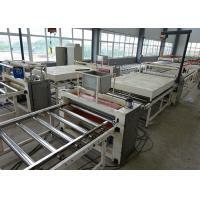 it is applicable to PVC baseboard, sectional materials, low foaming board, wood board and so on laminated decorative films, decorative papers and other surface decorative materials. 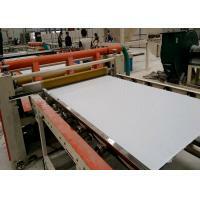 This machine can laminate double sides of the gypsum board without turnover. It saves cost, glue and manpower. 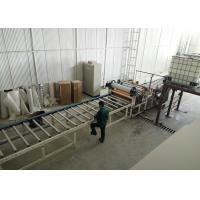 Push type loading device: Cylinder push, photoelectric control. 700mm stroke. 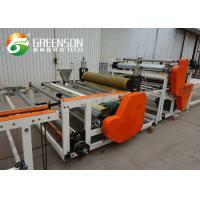 Through the push board platform rubber roller rolling transmission to accelerate speed, with the feature of low cost, economic and affordable(comparing to the sution type) easy to operate, fully automatic feeding. 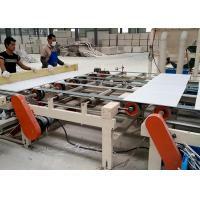 The machine is used for cutting the laminated gypsum boards to be certain small pieces which are going to be used in the decoration. 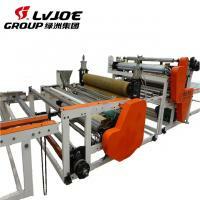 First, put the boards on the conveying rollers, then go to the first cutting device. 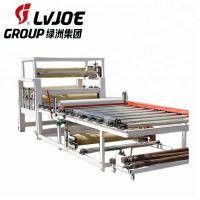 After passing the second cutting device, the board will be formed. 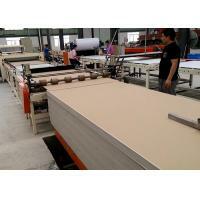 The machine is used in the dust collector of the automatic cutter of the laminated gypsum board. It equipped with big sized dust exhaust fan and dust exhaust pipe. 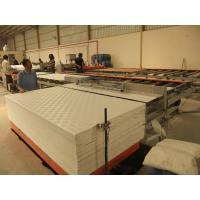 It can efficiently reach to the purpose of the dust exhausting. 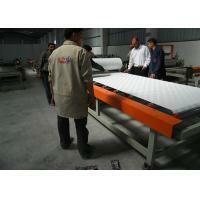 This machine is used to pack finished gypsum board, it is a kind of advanced package way.